“Documents” shall mean the passport, application and any supporting documentation provided by the Applicant to VPU. “Services” shall mean the carriage and/or service performed or arranged by VPU pursuant to, or ancillary to, this contract with the Applicant. Words importing the singular include the plural and vice versa and words importing any gender include all genders and words importing a person include company and corporation where appropriate. 2.1 The person delivering the Documents and/or requesting the Services of the Company is authorized to hand out instruction to the company. 2.2 The request of the Applicant for performance of any Service shall not be in breach of any law. 2.3 The decision to grant or deny the application for a visa is a decision of the embassy or consulate to which the application is made, and as much is outside the control of the Company. The Applicant request(s)/authorizes the Company to act and perform as the agent in the procurement of the visa(s) without liability. 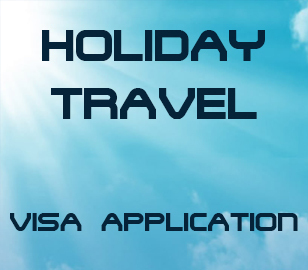 As the granting or the denial of a Visa is entirely at the discretion of the issuing embassy or consulate, we the Company do not guarantee approval. 2.4 The responsibility of the accuracy contained in the visa applications is solely the Applicants. 2.5 Service and shipping fees will be charged once processing is started, even if the visa request is denied by the Embassy or its official representative or cancelled by the Applicant. Embassy consular fees are NON-REFUNDABLE. 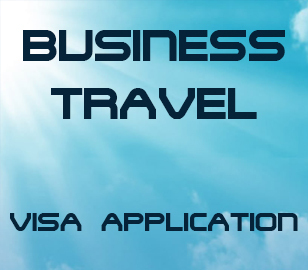 2.6 Visa information requirements, visa fees and visa issuing times are subject to change by foreign governments without notice therefore the Company does not assume responsibility of the accuracy of the information provided. 2.7 Charges including any additional charges, are the responsibility of the Applicant or their representative, are due and payable immediately, may be collected without notice, and may not be refunded. In the case of a cancellation, a current service fee will be charged unless the visa was already processed by the Embassy, in which case the fees are non-refundable. 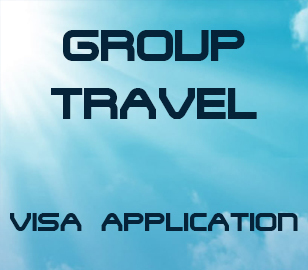 We the Company do not assume liability for delayed, lost or stolen visas and or passports. 2.8 The Embassies/Consulates change rules and regulations for visa processing at short notice and although the Company will make the necessary changes to its website the Company cannot guarantee that this will be effective immediately upon notification from the embassy/consulate of changes required. 2.9 The Applicant will make themselves aware of the standard processing times required by Consulates/Embassies/High Commissions and those of Visa Lodgement Centres. 3.2 The Company does not assume any responsibility whatsoever for injury, damage, loss, accident or delay to any person or property which may arise due to causes beyond its control and not occasioned by its fault nor due to any act of negligence of any ther party, war, strike, civil turmoil, riots, fire, acts of any government agency thereof, failure of transportation, communication, or acts of God. 3.3 The Company has used its best efforts in collecting and preparing the data included within the Company’s website but cannot warrant that the information contained within this website is complete or accurate and does not assume and hereby disclaims liability to any person for any loss or damage caused by errors or omissions in the Company’s website whether such errors or omissions result from negligence accident or any other cause. 3.4 Save as otherwise provided herein, the Company shall under no circumstances whatsoever be liable for direct or indirect or consequential loss or damage. The defenses and limits provided for in this contract shall apply in any action against the Company for loss or damage or delay whether the action founded in contract, tort, or otherwise. 3.5 The Company disclaims any liability for losses, damages, forfeiture’s of deposit or expenses, damages of any kind whatsoever incurred by the Applicant in the event the Visa applied for is denied or not obtained within a stated time period. Services should have been completed or the documents should have been delivered, which ever date occurs first. the Documents were received by the Company. in all circumstances and not withstanding any breach of the condition hereof by the Company. The liability of the Company is defined and limited to any amount stated for specified loss and damage. The Applicant is therefore advised to seek its own insurance cover generally. NO insurance will be affected by the Company. limit or exclude liability in respect of the Service and any term that the Subcontractor may employ any person, form or company for performance of the Service. 6.1 The Company is authorized to deliver the Documents to the consignee or his agent at the address nominated to the Company by either the Applicant, the Company, the consignee or their agents and its is expressly agreed that in such cases the Company shall be deemed to have delivered the Documents in accordance with this contract. 6.2 If the Nominated place of delivery shall be unattended or if delivery cannot be affected, the Company in its sole discretion may at its discretion either deposit the Documents at the nominated place or store the Documents at the risk and expense of the Applicant, both of which will be deemed to be delivery of the Documents under this contract. 6.3 Dates specified for completion of the Service are estimates ONLY and the Company shall not be liable to complete the Service on such date or dates. Any relief from liability contained in this contract is to be read subject to any restrictions or contracting out of liability provided in any legislation binding the Company so that the provisions for relief contained in this contract are limited or rendered ineffective only to the extent required to give effect to that legislation but are otherwise fully effected and all the provisions hereof are severable and effective independently of any provisions which are null and void or ineffective by reason of any legislation. 9.1 Where the Company is unable to carry out any obligation under the contract due to any circumstances, matter or thing beyond its reasonable control (“force majeure”) the Company shall be excused from such obligations to the extent of such prevention, restriction or interference so caused. 9.2 The Company shall use all possible diligence and reasonable endeavors to remove the force majeure.